Glentauchers distillery is located on the Tauchers Farm, in the heart of Speyside. Originally founded in 1897 by James Buchanan, a whisky blender, it was built here due to the situation of the railway line, which ran behind the distillery and provided a cheap means of transporting supplies. It was completely rebuilt in 1965 and upgraded to the six stills it now has today, with a production capacity of 4.5 million litres annually. The spirit is filled into bourbon casks, and matured in the onsite warehouse. 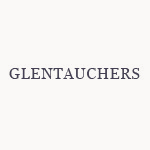 Glentauchers is now owned by Chivas Brothers and is a component in Chivas Regal, Ballantine's and Teacher's blended whiskies.